The renowned Indian sage Ramana Maharshi is beloved by Buddhists, Hindus, Christians, and Taoists alike for the inspirational power of his teachings, which transcend all religious differences. 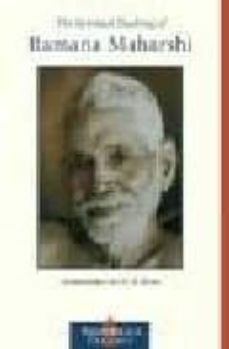 Here is a collection of Sri Ramana's instructions and discourses culled from three works: "Who Am I? ," " Spiritual Instructions ," " "and" Maharshi's Gospel. "These teachings are arranged by topics such as work and renunciation, silence and solitude, peace and happiness, and the discipline of self-inquiry. Reading this book, presented in question-and-answer format, evokes the feeling of being with this outstanding teacher at one of his intimate teaching sessions.